" [A] literate, insightful, and suspenseful story .... Grade: A"
"Former backpacker, lawyer, and now screenwriter George Mastras has turned his extensive knowledge of the remote regions of the world into a dramatic and timely first novel.... A love story and an adventure story which is exciting and brilliantly told." "[A] journey filled with suspense, danger and soul rendering experiences that keeps a reader's interest hooked until the last page.... Mastras' unbiased and non-preachy tune comes as a positive step towards bridging the gap between Islam and the West and at the same time is a befitting answer to the ruthlessness of the fundamental forces working in this complex region." "A smart, pulse-quickening novel... [R]eaders will remain riveted to their seats." "[A]n offbeat story by an offbeat kind of author who resigned his NY law practice for years of wandering at the top of the world... Mastras writes a brave and moving book with suspense that grows on you. Call it crime fiction if you will, or just a wonderful read." "[A] novel to cherish... 5 out of 5 Stars." "To write a great book you need a number of talents. Mastras has all of these talents and one more -- the ability to successfully assemble them into one work. 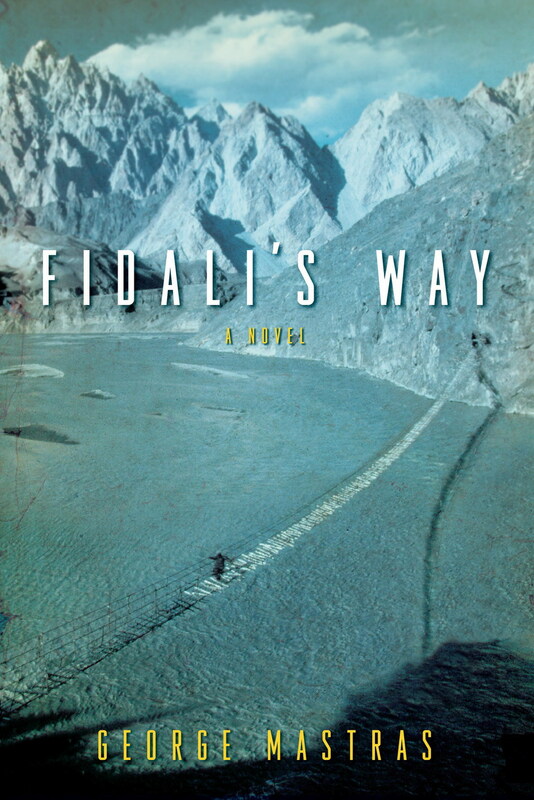 The result is a book the real book lover should not miss -- Grade: 5 out of 5 Stars"
"Fidali's Way is an absorbingly beautiful novel replete with excitement and drama. There is war and love, deceit and assassinations. The novel's end sparkles with creepy intensity, psychological horror, and redemption. "Mastras manages to capture the reader from start to finish, and you clearly sense that he knows the area through his own experience...which makes the book so credible you sometimes forget that it's fiction. A fantastic debut recommended for a wide audience: people who love adventure, thrillers, love stories, and novels that give insight into exotic and foreign cultures." A thrilling, epic novel about a young American man who is arrested for murder in Pakistan and narrowly escapes through the Himalayas, experiencing war, love, and revelation along the way. Disillusioned with American life, Nicholas Sunder has spent months backpacking through South Asia, most recently in the company of a beautiful French woman he met in India. When the woman is found brutally murdered in the Tribal Areas of Pakistan, Nick is arrested and tortured by the Pakistani police, who are convinced he is the killer. Amazingly, Nick escapes their custody and heads off on foot through the steep mountains of Kashmir, the highest war zone on earth. Now a fugitive without papers, money, or a country that will welcome him, Nick is reduced to his most elemental human identity in an unforgiving mountainous landscape where his very survival is unlikely. Nick's fortune turns when he encounters an eccentric Kashmiri smuggler and his mysterious companion, Fidali. An enormous, nearly silent man, Fidali not only knows a hidden way through the mountains but makes a deep impression upon Nick through his sacrifices for others. In time, after barely surviving great violence, Nick reaches an idyllic mountain village in Indian-occupied Kashmir, where he is drawn to Aysha, a remarkable woman unlike any he has ever met, who operates a medical clinic in the remote region. It is there he will confront the divide between Islam and the West and be forced to ponder how he has reached such a place -- forced to consider, in other words, Fidali's way. Drawn from the author's own experiences trekking through Asia, Fidali's Way brims with George Mastras's deep knowledge of the Himalayan region. He has walked the lands, climbed the mountains, and met the diverse peoples who call the high Himalayas their home. Few American authors have traveled as extensively as Mastras has through these remote, dangerous, and unstable places, and his personal insight is evident on every page. Not only a powerful suspense story, Fidali's Way is a timely exploration of a politically complex region and a meditation on some of the most important issues of our time: the relationship between Islam and the West, the ruthlessness of fanatical religion, and the redemptive power of pure faith. Sweeping in its scope and moral complexity, Fidali's Way brings forth a story that only an ambitious, large-hearted novel can tell and introduces George Mastras as a major new American novelist.